Express - Offer | 48 Hour Party! » Adult only events – guests must be 18 or over! » Live music from original bands and solo artists, tribute acts & more! Brean Sands in Somerset, Camber Sands in Sussex or Prestatyn Sands in North Wales. Enjoy a 2 night stay for up to 4 people from only £78!! All party weekends have an excellent line up of original bands and solo artists, fantastic tribute acts, plus comedians, DJ’s, fancy dress, fun and mayhem. November 2018 Ultimate Party Weekender Headline acts to be confirmed! 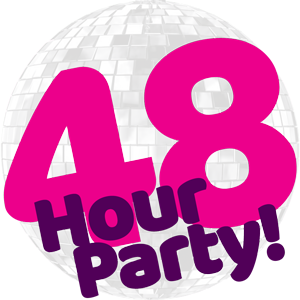 48 Hour Party is an adult only event, all guests must be 18 years or over. Subject to availability, new bookings only. *50% off (£78) is based on 4 people sharing a 1 bedroom Popular apt (RRP £39pp x 4 = £156). Prices shown include all savings & are based on up to 4 people sharing a popular 1 bedroom upper floor apartment for 2 nights on a self catering basis. Named acts are scheduled to appear, but are subject to change without prior notice. Bed Linen, Towels and Electric are not included but can be purchased on park. Calls cost 13p per min plus your phone company access charge. Please ring Pontins on 0844 576 5944 to book or check availability. Calls are charged at 13p per minute + your chosen phone company access charge, Quote EXPW. Pontins reserves the right to change/remove any dates or prices without prior notice. For all other terms and conditions visit http://www.pontins.com/terms-and-conditions/ or ask at time of booking.